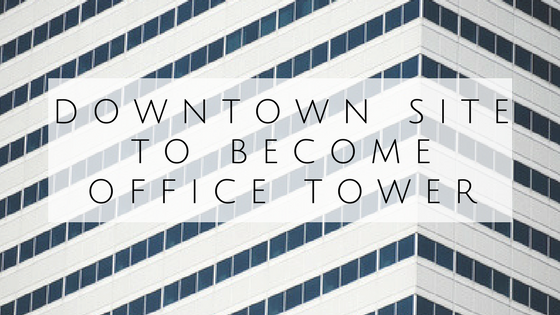 A downtown site at 1108 Nueces Street will become a 22,000 square foot, 5 story office building, the Austin Business Journal reports. Currently home to a 2,725 square foot building on a quarter acre lot that was occupied by Attorney Burrell Johnston for many years. When the property got a rezoning from general office to mixed-use conditional overlay, he sold it to a developer. Mid-City Development, which bought the property, plans for the offices to be aimed at attorneys, lobbyists, nonprofits, trade organizations, and others who would want to be near the Capitol. Mid-City has been behind other projects including the apartments which replaced the Omelettry apartments on Burnet Road and the J.Bouldin condos, which were originally a church. Looking to make a home in and around downtown Austin? Austin Apartment Specialists can help you find an apartment anywhere in town. Give us a call today at 512-241-1111. Austin is projected to add a ton of new apartments over the next decade or so, CultureMap Austin reports. By 2030, we will have 49 percent more apartments, a report by the National Multifamily Housing Council and the National Apartment Association found. That is 114,000 more units available for renters. Austin is forecast to add the third most apartments in the nation, after Raleigh, North Carolina and Orlando, Florida. In Texas, Dallas is predicted to add 266,296 more units (36%) and Houston is set to add 214,176 more (35 percent). San Antonio should be adding 54,000 more apartments, increasing its number by 28 percent. Apartments are in need, especially in the western U.S., Texas, Florida and North Carolina, because of an increase in people who are renting. 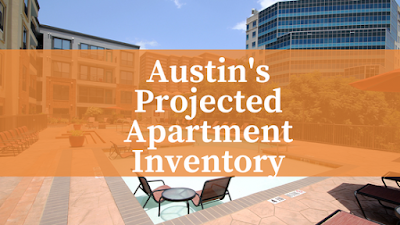 Looking to find an apartment in Austin and can’t wait until 2030? 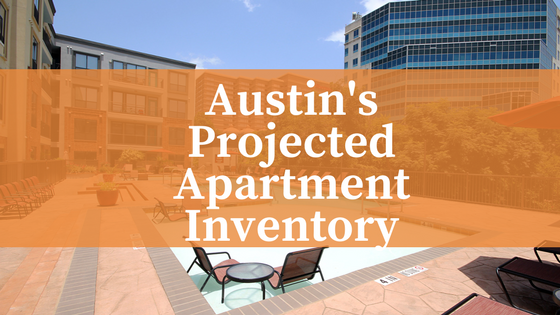 Don’t worry, Austin Apartment Specialists South Austin can help you navigate Austin’s rental market with ease! Give us a call today at 512-912-8000. 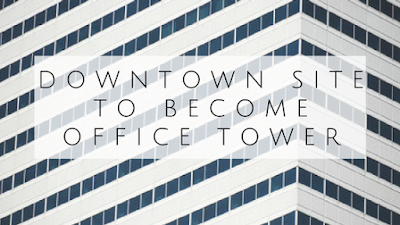 The Austin Business Journal reports on Axiometrics’ findings that rents in Austin, after years of climbing with seemingly no end in sight, are finally leveling off. 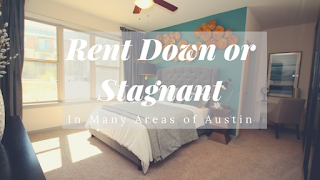 The Dallas-based research company found that rent in the Austin market did not increase noticeably last month and occupancy also remained the same as the previous month. Average rent was $1,209, the same as last May. While the slowdown in rent increases may be welcome news for renters, it could spell trouble for the large number of new apartments that are under construction in the area. Job growth has slowed somewhat in the Austin area and many of the new apartments set to be completed soon are in the luxury market with rents beyond the grasp of most Austin workers. Many of the jobs that are in demand just don’t have high enough salaries to afford the new apartments. Occupancy rates have remained steady at 95%, which is the same as May of 2016. The Austin suburbs of Cedar Park and Leander have seen rents decline by an average of 2.5 percent. A year ago, those areas had the highest increase in rents. San Marcos saw rents increase the most in the area, by 3.4 percent. In far north Central Austin, rent went up by over 3 percent. Looking to find a new home in the Austin area? Give Austin Apartment Specialists South a call today at 512-912-8000 to take advantage of the slowdown in rent and find an apartment that fits your budget and lifestyle! 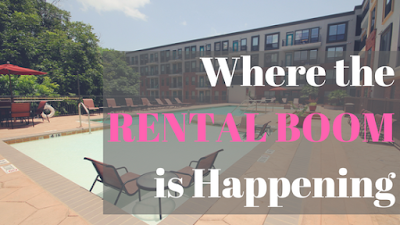 The rental boom is in full effect and a new report from RentCafe breaks down where those apartments are going in, as The Austin Business Journal reports. The report took a look at the largest 50 cities in the country and then analyzed which neighborhoods in those towns added the most apartments from 2010 to 2016. The North Burnet neighborhood of Austin came in at the nineteenth spot, increasing the number of the apartments in the area by 2,739 units in six new communities. This area includes the very desirable Domain. Other Texas cities ranked highly, including Dallas, which had two neighborhoods make the list. Uptown came in at number 5 and Oak Lawn came in at the seventh spot. They added 5,839 units and 22 buildings and 4,892 units and seventeen buildings, respectively. Houston had more neighborhoods on the list than any other city. Washington Avenue-Memorial Park nabbed the ninth spot and had 3,569 units, Greenway-Upper Kirby was number thirteen with 3,147 units, Memorial built 3,029 units to get the fourteenth spot, and Greater Uptown was right behind in the fifteenth spot with 3,008 units. San Antonio had one area on the list, the Northwest neighborhood, which came in at number eighteen and had 2,785 units in 12 buildings. Long Island City, New York was the leader with 12,533 new units, almost twice that of its nearest competitor, downtown Los Angeles. Want to find an apartment in the hot North Burnet neighborhood or anywhere else in Austin? Give Austin Apartment Specialists a call today at 512-241-1111! Another hotel is going up in Austin, this one in East Austin on the site of a former Goodwill store, the Austin Business Journal reports. Called Arrive, the hotel will have 5 stories and 83 rooms and will encompass 58,600 square feet of hotel including event space, two restaurants, and a coffee shop. One thing the hotel won’t have is a lobby. Guests will check in at the bar. The hotel is expected to cost $17.4 million to build and when completed in Spring 2019, rooms will start at $199 per night. The Arrive hotel’s only other outpost is in Palm Springs, California and the Austin location will be designed by Burton Baldridge, an Austin architect. Other Austin companies involved include Alexa Management, Big Red Dog, Dwg. landscape architects, and EyeLikeDesign. The hotel will have 140 employees and will also include part of a 100-year-old warehouse that currently occupies the plot of land. The developers customize their hotels to the surrounding neighborhood and hope to become a destination for locals as well as travelers. Looking to make your home on the east side? 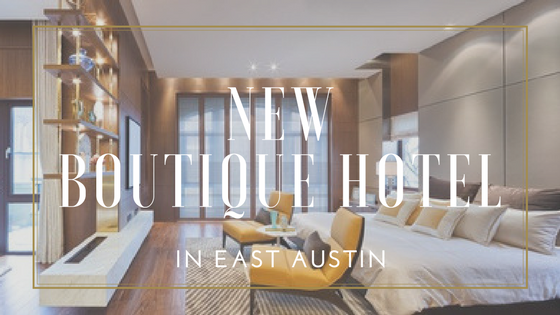 Give Austin Apartment Specialists South a call today at 512-912-8000 to find the perfect apartment for your lifestyle and budget!